Equipment corrosion is always an issue for companies whose daily operations require them to handle corrosive materials. Whether you weigh chemicals like sodium hypochlorite, sodium hydroxide, alum, or phosphates, or liquefied gases such as ammonia, chlorine, sulfur dioxide, chloride, carbon dioxide, or hydrogen, accidents are bound to occur. Whether you deal with small leaks or large spills, repairs and replacements are often necessary Ð and costly. Scales are not exempt from damage either. The first line of defense against corrosion is to use scales that are built to resist the effects of these materials. 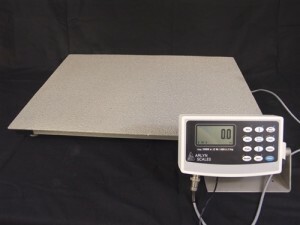 While many companies offer scales with stainless steel construction for the base and platform of their scales, there are internal scale components that are commonly overlooked and left without protection. While direct contact with the material, due to a spill for example, will certainly corrode a scale, even the fumes associated with these materials can corrode equipment over time. This means that the internal components of a scale are also vulnerable to damage from these corrosive agents. One of the most important of these components is the load cell. The load cell is responsible for measuring the weight of the material on the scale’s platform and the accuracy of those measurements. If the load cell is damaged, this accuracy can become compromised, which can have serious consequences on your reputation and finances, and even employee safety in some cases. Arlyn Scales not only offers rugged, welded stainless steel construction for the exterior components of our scales, we also manufacture our load cells in our own New York based factory using a special, heat-treated stainless steel alloy. This extra protection means that the weight taken for each container will remain accurate despite the harsh environment. Our corrosion resistant scales can also be coated with a polyamine-based triple epoxy that provides excellent chemical resistance against hydrocarbons, inorganic acids and alkalis, solvents, and many other chemicals. Garnet particles are mixed in with this unique epoxy, which give the scale additional resistance to scratching and abrasion. The majority of scale manufacturers and distributors use a ÒprotectiveÓ layer of paint that possesses no protective qualities once it has been scratched or scraped off the scale. This kind of damage is an extremely common occurrence, especially when loading and unloading larger chemical containers. However, once this layer of paint is scratched, the stainless steel beneath is exposed and vulnerable to any chemicals that leak or spill. Even areas of the scale still covered in this inferior paint are susceptible to the spread of corrosion. While stainless steel is far more resistant to corrosion than other metals, it cannot hold out indefinitely. Our triple epoxy makes it more difficult to scratch the scaleÕs surface, which extends the useful life of the scale. It also contains any damage the exposed surface may withstand to that particular area, which also increases the longevity of the scale. Ultimately, our superior stainless steel construction, stainless steel load cells, and optional triple epoxy coating work together to provide you with years of trouble free service. Sometimes corrosive materials will have incendiary or explosive properties that require your situation to be classified as a hazardous location according to the standards outlined by the National Electric Code (NEC). Locations classified as Class I are hazardous because there are flammable gases or vapors present in the air in quantities large enough that they are potentially explosive or ignitable if an electrical or other source of ignition is present. Common Class I Locations include petroleum refineries as well as areas where gasoline is stored or dispensed, dry cleaning plants that may have vapor from cleaning fluids present, spray finishing areas, aircraft hangars, and utility gas plants that store and handle liquefied petroleum gas or natural gas, among others. A Class I Location classification is further broken down into divisions Ð either I or II. A Division I label means that the materials are present in daily operations and are normally explosive and hazardous. A Division II label means that the material is not normally present in an explosive concentration, but can become so due to an accident such as a spill or leak. These locations require equipment that has been specifically built and certified for use in that particular location because electronics can easily become a source of ignition. Arcs and sparks caused by the normal operation of equipment, such as motor starters, contactors, and switches; the high temperatures associated with some heat-producing equipment such as lamps and lighting fixtures; or simple electrical equipment failure can cause an explosion that can destroy lives. which are FM Approved components as per Approval Standard 3600, 3610, 3611 and 3810. Such environments are known to deal with gases and vapors such as acetylene, hydrogen and similar compounds, ether and similar chemicals, as well as hydrocarbons, fuels, solvents and more. 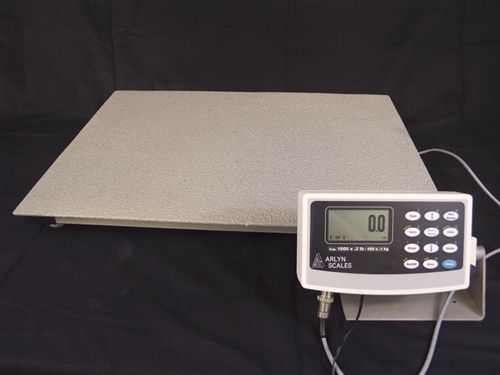 Our ArlynGuard series includes small bench scales that are suitable for locations like distillery labs, cylinder scales, platform scales, and floor scales. So capacities range from as little as five pounds to as much as 20,000 pounds. We manufacture all of our scales and their subassemblies in our New York based factory. We distribute our products ourselves, which means there is no middleman to drive up prices unnecessarily. So no matter what kind of corrosion proof scale you purchase, Arlyn Scales provides high quality solutions at a competitive, factory direct price. If youÕre unsure which scale model that will best meet your needs or have a few questions youÕd like answered prior to making a purchase, contact our customer support staff today. We can speak with you to understand your unique environment and help guide to an affordable yet functional option. We can answer all your questions and discuss additional features with you. So be sure to ask how our scales can help you automate some of your processes and record data on the storage device of your choice. For years of trouble-free service from your scales, there’s no better choice than Arlyn Scales!